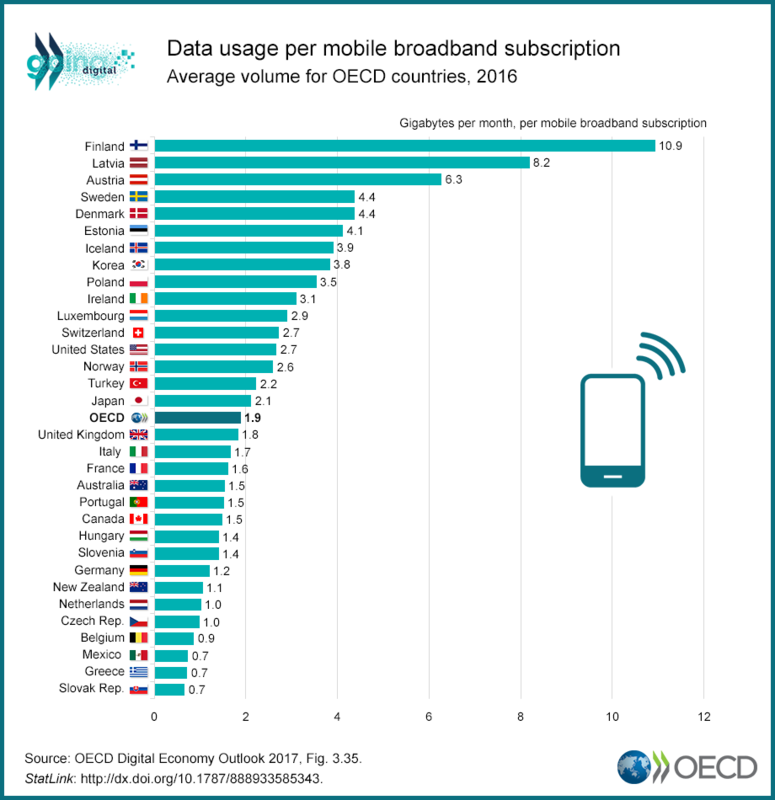 Daily Dose of Data 2: Data usage per mobile broadband subscription | The Forum Network, hosted by the OECD: Shape ideas. Shape policy. Shape the Future. 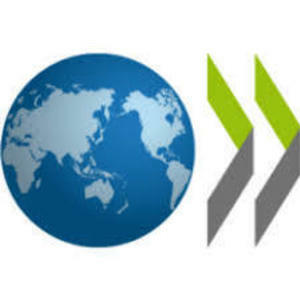 There is generally an increase in the size of data caps across the OECD. This is contributing to higher usage of data, with Finland and Latvia leading the way. The average use of data per subscription in Finland was 11 GB per month in 2016, up from 7 GB the year before. Meanwhile the introduction of unlimited offers in Latvia was associated with an increase of 8.2 GB on average per month in 2016 from 5.8 GB in 2015. Across all OECD countries the amount of mobile data grew from 18 000 petabytes (PB) to 27 500 PB, a 52% increase between 2015 and 2016.